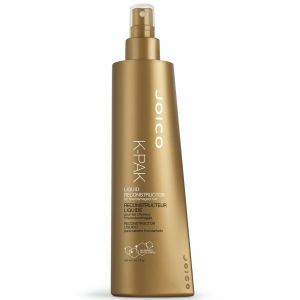 Nourish your hair and improve the strength of your locks with this Joico K-PAK Conditioner. Rich in fatty acids this ultra caring conditioner will protect your hair from fading, leaving your colour looking vibrant and your hair with a healthy glow. Formulated with breakthrough technology this Joico K-PAK Conditioner is the perfect daily conditioner to leave hair with incredible softness and beautiful shine. Apply to damp shampooed hair. Very good product. It only takes a minute to have clean and manageable hair! Joico K-pak conditioner is amazing! It leaves your har soft and shiny, very easy to brush through. Love it! joico is the best !!! Really enjoyed this Joico K-Pak Conditioner. My hair got shinier and smoother. Highly recommend. I have long blonde hair which it is not so easy to treat since I often use heat and also do windsurfing so it inevitably gets quite damaged. 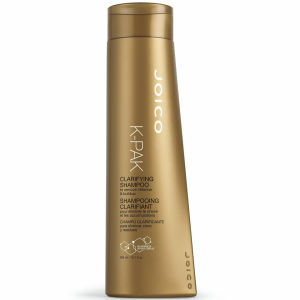 This Joico K-Pak Conditioner helps a lot and thanks to Lookfantastic it is easy and cheap to get it to my house in Italy!